View our extensive variety of luxury gulets available for charter in the Mediterranean. View our extensive variety of motor yachts available for charter in the Mediterranean. Durukos Yachting has been defining luxury yachting in the Eastern Mediterranean since 1974. 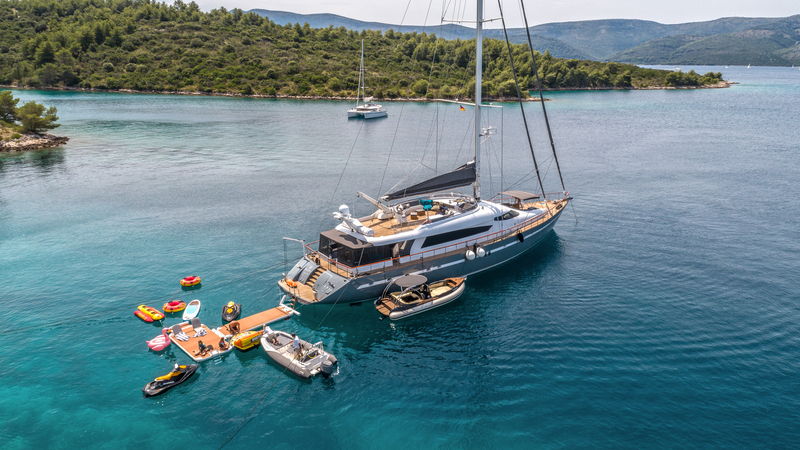 We are the oldest and amongst the most experienced in luxury gulet and motor yacht charters on the Turkish Coast and the Greek Islands, in addition to producing some of the finest and most elegant custom sailing and motor yachts at our boatyard in the south of Turkey. With thousands of charter yachts and yacht charter agencies all over the internet, it’s easy to get lost and confused. Our fleet of charter yachts is hand-picked to ensure only the highest quality. We personally inspect the yachts on an ongoing basis and spend time with the crew, getting to know each member. In the recent years, we have expanded our fleet of luxury gulets and motor yachts to the Croatian Coast. Durukos Yachting has three offices: in Bodrum (Turkey), New York (USA), and Paris (France) – available to attend to your requests at various time zones. Please contact us to plan your holiday, one of our brokers will immediately respond to your inquiry to assist you in finding your ideal yacht and customize itinerary to fully meet your expectations and preferences. What Makes A Durukos Yachting Experience Special? With Durukos Yachting, we have decades of experience managing luxury charters in destinations like Turkey, Greece, Croatia and Italy. We understand the discerning taste of our clientele, and we make sure your experience is completely turnkey and terrifically elegant. From helping with charter flights, hotels, off shore excursions, specialty food and drink and other special requests, we make a point to ensure your holiday is bespoke and utterly comfortable. If you have any questions or special requests for your next luxury yacht charter, please reach out and we will be happy to discuss. When you reach Durukos, you get directly in touch with a member of our family – we handle every detail personally, attend to every request and organize everything ourselves. We manage a fleet of gulets and motor yachts in the Eastern Mediterranean, and also attend boat shows around the world to see what other yachts we can offer our clients in different destinations. Each yacht we offer has been inspected in the last 12 months, we know the crews well, and have extensive knowledge of all the destinations we design vacations for. We also fly into every port where our charters are starting from, inspect the yacht before our clients embark, we greet them when they are getting onboard, and do the same on the day of embarkation. We treat the boats like our homes, so you can think of us as the hosts. We often meet our clients when picking the boat and designing the itinerary. Your experience is extremely important to us and we do everything we can to ensure a bespoke and relaxing experience on your Mediterranean charter. We don’t offer any boats we wouldn’t personally charter ourselves.